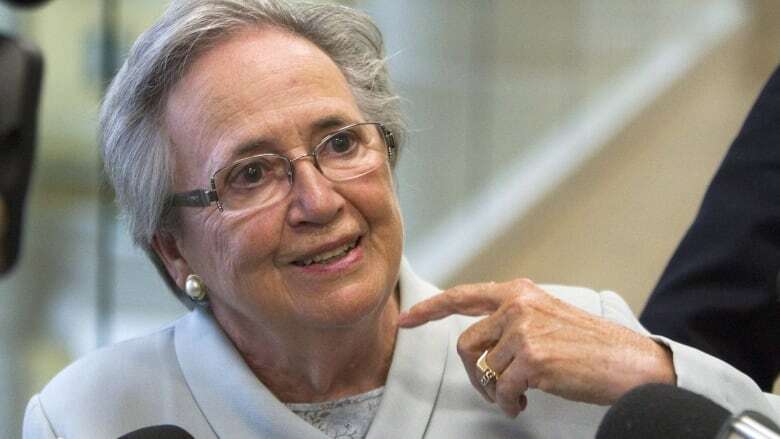 Former Quebec lieutenant-governor Lise Thibault is changing her plea from not guilty to guilty on six of the eight charges against her after she was accused of misspending hundreds of thousands of dollars. Thibault was facing eight counts for fraud, forgery and breach of trust in connection with allegations she misspent public funds. She pleaded guilty to fraud and breach of trust, but not forgery, and is offering to pay back several hundred thousand dollars. She offered to pay back $310,000, while the Crown is demanding $430,000. She is accused of having spent over $700,000. Thibault was first charged in 2009 after the Journal de Quebec revealed she spent public funds on herself and her family during her 10-year tenure. Her trial had been adjourned in August after she began testifying in her own defence, because she had fallen ill.
Thibault will be sentenced May 1.